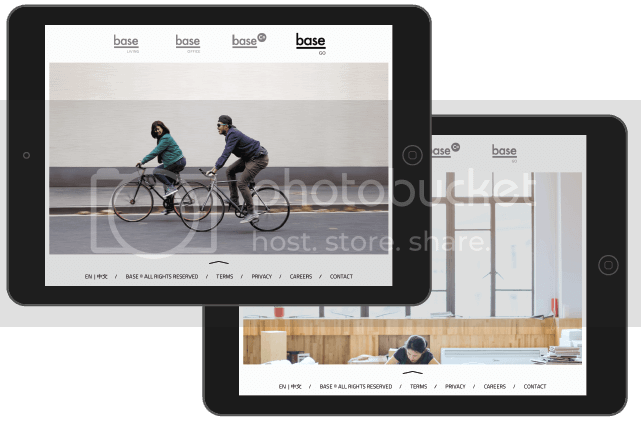 Base is a company providing a comprehensive set of living and working solutions. This ranges from Office and hot desk leasing, serviced apartments, bike and luxury car hire, to investment. The Group's own interior design architecture and construction agency also leads the renovation and redevelopment of the properties Base has acquired. The same way Base is not only focused on one activity; the entire project IT Consultis designed and developed is actually a 8-steps process. One website per step, and a final 8th step to connect all sites together under a single CMS. The 7 projects will be released one by one, with Base China being the first one. Since the same customer can be the client for several Base branches, it is important for the brand to provide a unified communication and service. The greater goal is to enable users to log into their account from any of the Base websites, and have an overview of their status - regardless of the Base service and from one single page. We chose to develop Base China and all the sub-branches websites under Drupal 8, the best technology when it comes to content and multisite management. Last, since this site is part of a bigger project and a much more complex database, we decided to play with Angular in prevision of the bigger picture and to have light speed loading and effects. We wanted to capture Base ecosystem in a concept that would harmoniously tie each service together, into a single atmosphere. This is how we came up with "a day with Base": waking up in Base Living serviced apartments and going to Base Office with a Base Go car. Those are simple elements that can accompany Base customers in their daily life. To embody this concept, we chose to display a clock on the main page that is synced with the user's device. Depending on the access time, the background video will follow the moment of the day. Users who log in at night will see a person sleeping while those who log in during the day will be shown someone working in one of the Base offices. The visual identity of Base and its sub-branches is centered around the modern and elegant environment the brand conveys in its offices and apartments. White spaces, wide visuals and a clear navigation establish the design basis you will find in all Base websites and venues.